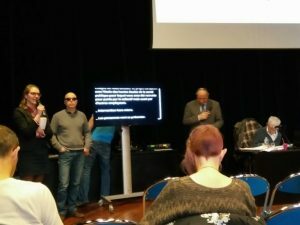 On 3rd April 2018, the Disabled People Organization (DPO), the « Collectif Handicap 35 » had its annual general meeting in Rennes. 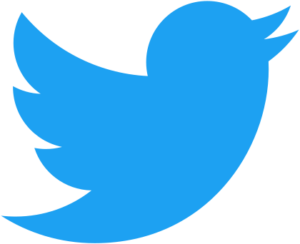 -Shared the difficulties the partners has faced during the project. The members are more and more interested in the project : many of them wish to test the training Platform. 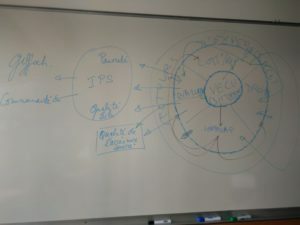 On 2 and 3 October, at the Paris site of the EHESP School of Public Health, the partners discussed issues and the state of progress of the project. The first good news was that we remain on schedule in spite of having encountered difficulties in logistics in relation to the technical development of the platform. Eric France (IT Login), who has been commissioned to work on the development of the functional specifications, presented the version « primo » of the Platform. The Platform Moodle, that will be used to create the training modules in the project, allows to complement face-to-face courses and also self-training. The « Primo » version allows the partners to work on the implementation of their modules. In parallel, IT Login has developed a « Bêta » version that will be loaded with the contents of the « Primo » version and will provide different accessibility options so to progressively allow us to reach the expected outcomes. Julien Torrent (ASA-HM) is the project manager in relation to Accessibility specifications of the platform. 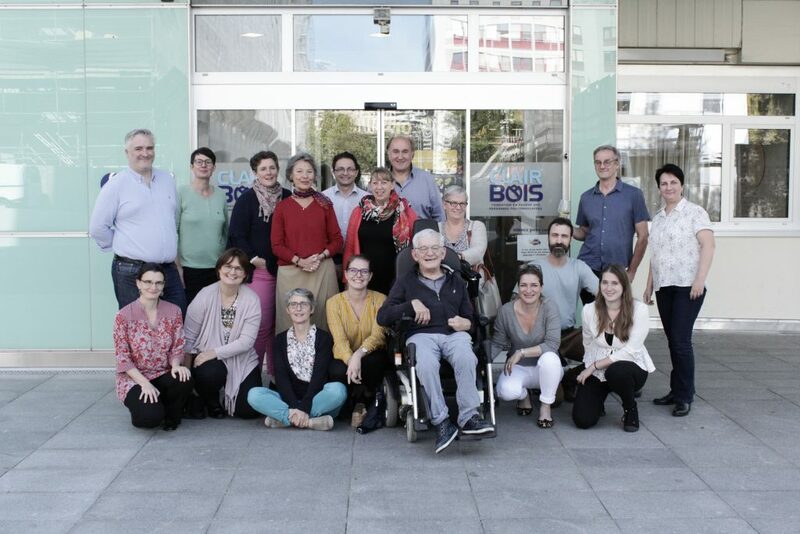 Each working group (« Understanding disability and introducing others to understand disability », « Improving leadership skills for representatives of DPOs’», « UN Convention for the Rights of Persons with Disabilities », « Assessment Tools ») made a 15 minute presentation of the work they had undertaken on their training theme. General issues dealt with the progression process of the learners, the sign-in procedures, the collaborative dimension of the platform, how the contents will be updated, the preparation of the ECTS, the implementation of a speech synthesizer and the degree of accessibility to be reached. 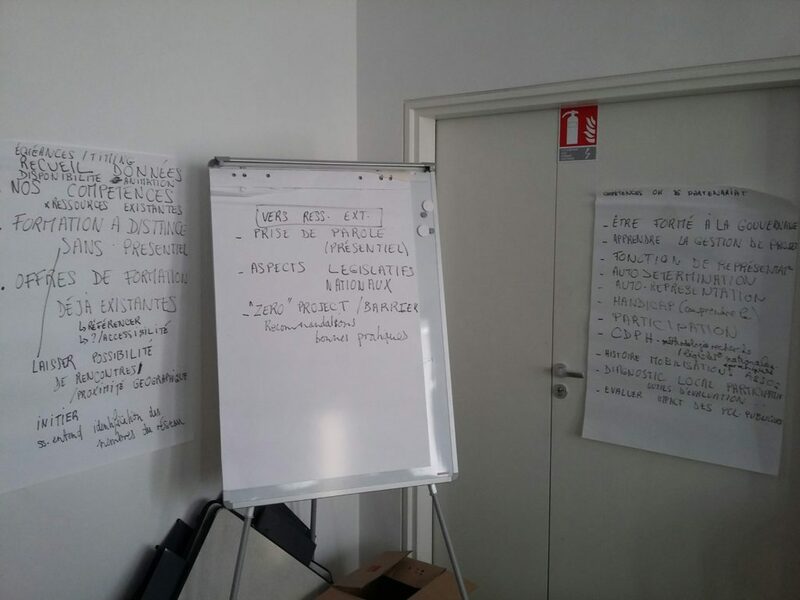 Finally, the partners discussed how links need to be developed between the 4 modules. 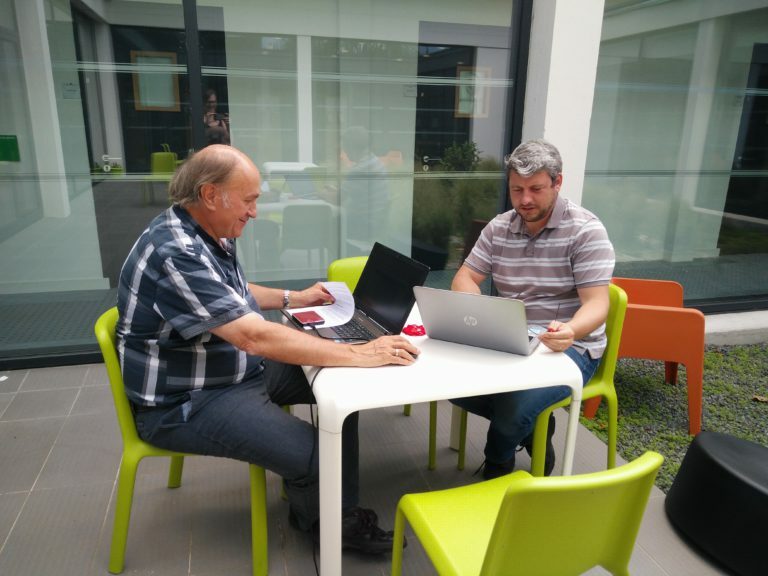 Fully developing one course, with all the necessary functionalities, in order to allow the developer to analyze the potential problems and to find solutions when working on the « bêta » version. 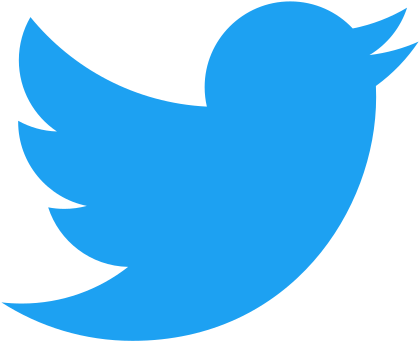 Three dissemination events will be held in June 2019. All the partners wish to have at their disposal a convenient venue which is fully accessible, including the breaks and the buffet. A small working group (initially planned organizers: UCL, HELB, Gravir, EHESP) will meet on 4 May in Lille to work on these events. 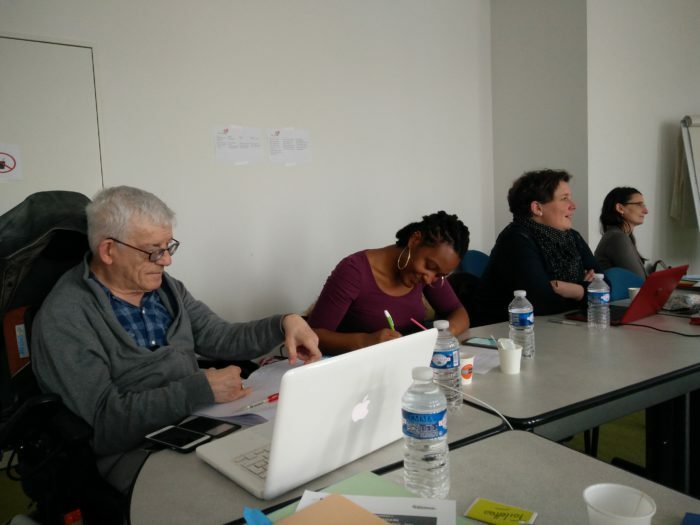 The 2nd transnational meeting of the project ParticipaTIC was held on 17 January 2017, at the EHESP, in Saint-Denis (Ile de France Region). 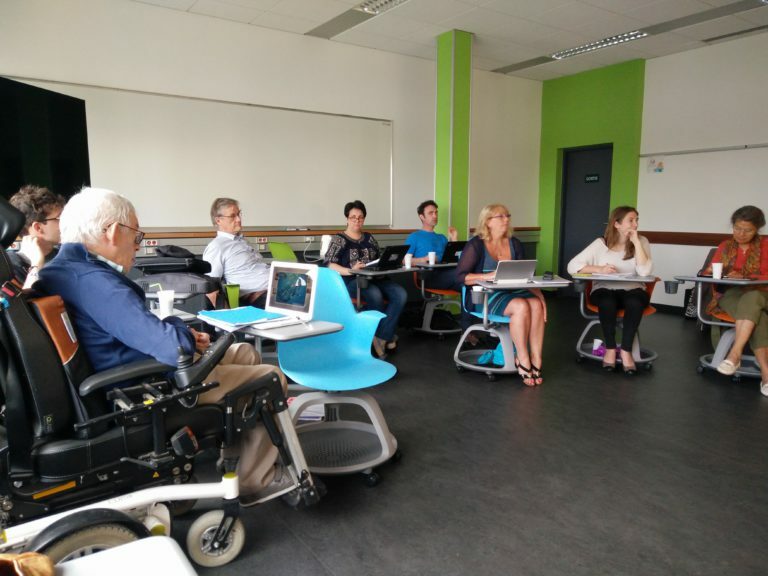 In December, several representatives of Disability Persons Organisations in the four countries of the partnership (Belgium, France, Romania, Switzerland) have been interviewed about their training needs: the results have been presented and discussed. A finalized summary version of the results will be distributed to people who participated in the interviews. First, based on the results of the interviews, we will categorise and organise a selection of training themes and skills that will be made available on the collaborative Platform. The first selected themes are : understanding the concept of disability ; the representative function ; the UN Convention on the Rights of Persons with Disbabilities ; tools and methodologies for assessing people’s needs and public policies. Second, the work will be divided so to have 4 working groups made of several partners to work on each theme and develop learning modules. For the next meeting in March 2017, each group will work on first teaching scenarios. 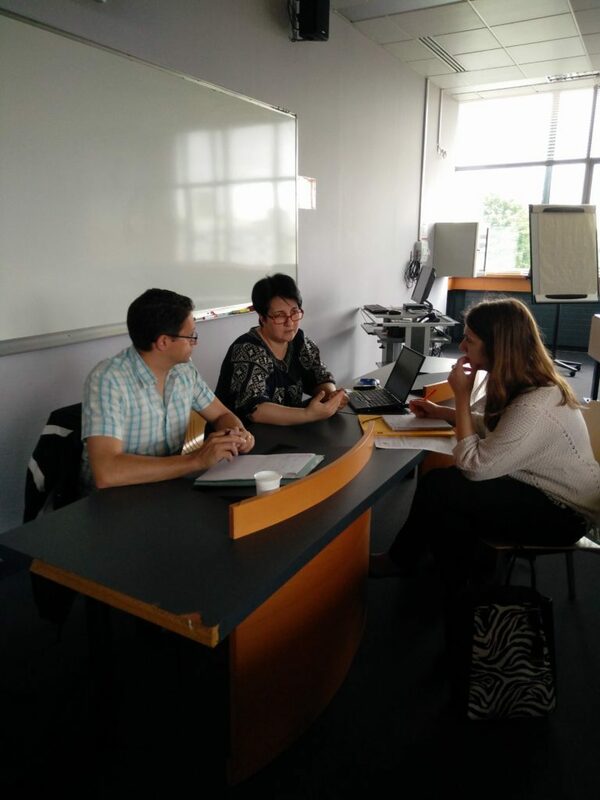 The launch transnational meeting was held on 1 and 2 Septembre, at the EHESP, in Rennes (Brittany Region). This meeting allowed all the partners to organise the tasks to be accomplished during the six coming months. The dissemination plan was approved. First, the method to be used to collect more thoroughly the needs, expectations, difficulties, advantages that persons with disabilities have when being representative for the others. A timeframe was approved. Second, an organisation for the partnership functioning and for the budget monitoring were chosen. 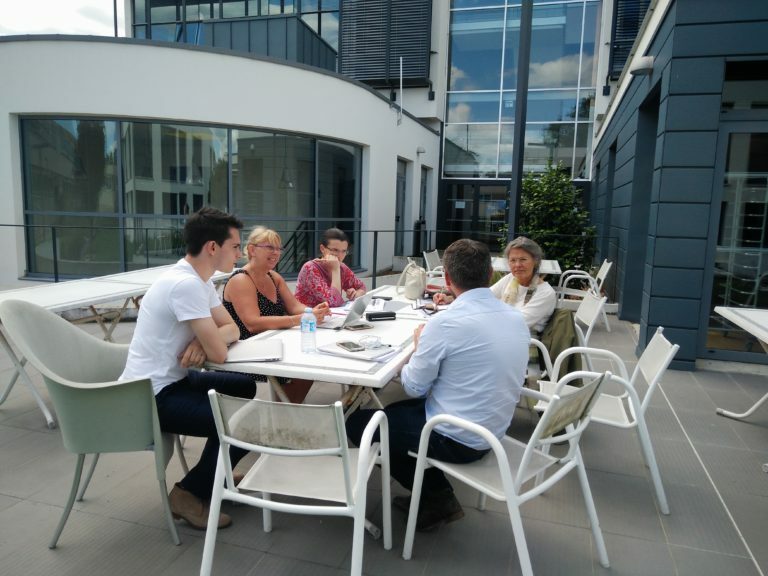 Third, the group discussed with the Centre d’Appui à la Pédagogie (CApP) / teaching support team of the EHESP so to prepare a training session about the Information and Communication Technologies in Education that will be held in November, December and January. Fourth, the group discussed about the content to be prepared for this website that will promote the project. And lastly, discussions were held with LOUSTIC, a research team with expertise on ICT in Education, that will assess the first version of the platform in collaboration with users. 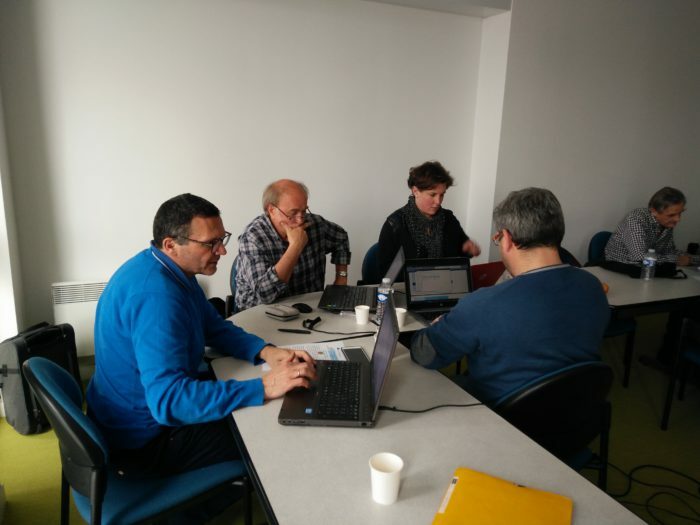 Our next meeting will be held on 24 and 25 November and will be dedicated to the first two days of the training session about ICT for Education, prepared by the CapP of the EHESP.